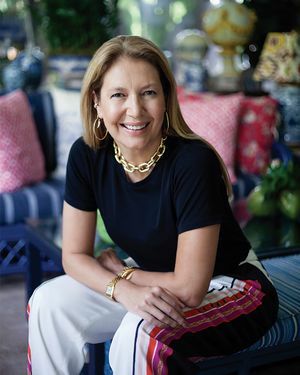 Donata Meirelles is a fashion expert and one of the biggest fashion references in Brazil. In 2019, she turned 50 of which 30 years dedicated to the fashion industry, sector in which she started very early. While as head of Daslu, as international buyer, she was named as one of the 05 best buyers in the world, by the French magazine, L’officiel. Global experience in the fashion industry and a worldwide network led Donata Meirelles to be Vogue Brazil’s style director. For 7 years she helped the publication, as the Brazilian magazine Vogue says, to be considered one of the best Vogues in the world. Donata is the founder of Women in the World Foundation, which supports several NGOs such as Gerando Falcões, AMFAR and Brazil Foundation. She has been honored by both AMFAR and the Brazil Foundation for her active work on behalf of both organizations. Donata Meirelles is internationally respected by the fashion industry and has 460,000 followers on Instagram. This page was last edited on 26 March 2019, at 17:36.